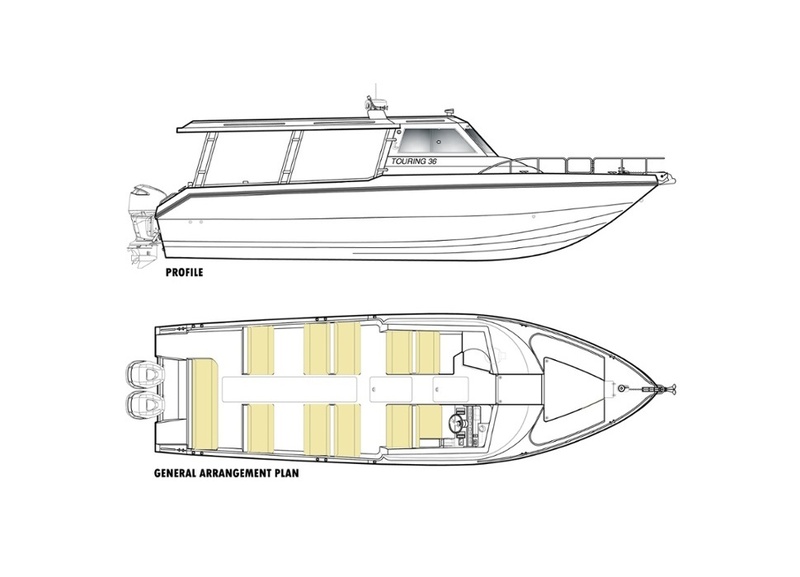 Perfectly suited to daytime of adventures or weekends of comfort, the Touring 36 boat in Gulf Craft’s Utility series has a seating capacity of 28 people in the standard transport configuration. It is tailored to meet all your needs; her deck area has a covered top and open sides, allowing for uninterrupted views of the sea. Its overall length is 35ft 10in and it is available in Ferry and Ambulance versions.